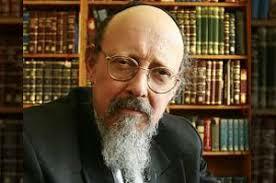 Rabbi Dr. Shimon Cowen lives in Melbourne with his wife and children. He has a doctorate in social philosophy and received rabbinic ordination in Israel and in the Kollel Menachem Lubavitch, Melbourne (where he served as its program director for a number of years). In 1977 he published an annotated translation of the Seder Bircas Hanehenin (Laws of Blessing) of Rabbi Schneur Zalman of Liadi. Rabbi Cowen is the director of the recently established Institute for Judaism and Civilization, and he lectures at Monash University’s Australian Centre for Jewish Civilization. Through seminars, conferences, and a scholarly journal entitled Judaism and Civilization, as well as through formal teaching, Rabbi Cowen explores “interfaces” between traditional Judaism and the arts, sciences and values of general civilization.